The Baltimore Orioles have re-emerged as a force to be reckoned with in the American League East. This youthful team will face a heavy challenge in the deep AL East trying to beat out the New York Yankees and the Boston Red Sox for another division crown. Grab your 2018 Baltimore Orioles tickets and head down to Camden Yards to be a part of your team's home field advantage. Attending a Orioles game at Camden Yards is a historic experience. The 45,000+ seat "retro style" stadium in Baltimore, Maryland opened in 1989 and immediately changed the way ballparks were constructed. Fans can re-live Oriole history by walking through the sculptures of Oriole greats, which include the late Babe Ruth and Cal Ripken Jr! The Baltimore Orioles compete in East Division of the American League in Major League Baseball. They were one of the original 8 teams in the American League. Their home is Baltimore, Maryland. Where they play at Oriole Park at Camden Yards. Oriole Park was opened in 1992. The O’s adopted there team name to honor Maryland’s official state bird, the Oriole. The Orioles have a rich history in Major League Baseball and continue to shock and awe their fans in the stands. To see a game live get your Baltimore Orioles tickets here. In 1900, the American League removed itself from the National Agreement. The agreement was an arrangement between the National League along with some of the minor leagues. After the AL left the agreement, many franchises ended up folding. One of the surviving franchises was the Milwaukee Brewers. Their first game in the AL was an infamous one. The Detroit Tigers now hold the record for the biggest deficit overcome. They came back to beat the Brewers 14-13 runs the ninth inning. A year later the team made the move from Milwaukee to St. Louis. They began seeing success in baseball once again. In the 1920s, they had George Sisler, who later became a first base hall of famer. The Birds were established in 1901, originally under the name Milwaukee Brewers. It was only a year later that they changed their name to the St. Louis Browns. That remained their name until 1953. In 1954, the team made its move to Baltimore Maryland. Where they changed their name to the Baltimore Orioles. Glory Years - The Orioles saw a rise in success after their move, namely in the 1960 to the 1980s. During those decades they made an appearance at the World Series six times. Three of which, they won (1966, 1970, 1983). They also had many notable players play on their team during this era. SOme of the big names were Eddie Murray, Cal Ripken Jr, Brooks Robinson, Jim Palmer, Earl Weaver, who all went on to make it in the Baseball Hall of Fame. In 1980, the Orioles won a 100 games in the season. The team saw great success that time, but in the late 1990s their success began to dwell. The Baltimore Orioles went on a losing streak for 14 seasons. There streak went from 1998 to 2014. It was until 2014 the O’s tasted success on the baseball field once again. In 2014, they went on to win the division title and they advances in to the AL Championship series. 1998 marked the beginning of the Orioles struggle. They actually had a losing season that year. Many players left the team including Alberte Belle, Rafael Palmeiro, Roberto Alomar, and Eric Davis. Since they also had a losing season in 1997, both Miller and Wren (General Managers) after the repeating a losing season in 98’. Orioles tickets during the downturn era saw a decent difference in price in comparison to the Yankees, and Red Sox. The Orioles, continued to not see much growth in the few years following the back to back losing seasons. However there were some notable moments in the Baltimore Orioles history. Cal Ripken Jr. his is 3000th hit in the 2000 season. Later that season the team traded away many of their veterans for young and new professional baseball players. Cal retired at the end of the season, and the O’s retired his jersey number (8). 2003 - 2004 - The team made a major moved trading for young players. While investing in the possible long term future, they sacrificed the short term success. In 2003, they saw no improvements and many organizational shifts. With the firing of General Manager Syd Thrift, and Hargrove did not stay. They began signing big time hitters including Miguel Tejada and Rafael Palmeiro. In 2004, the team was able to sign big time hitter and outfielder Sammy Sosa. 2005 - The team for the first time in years began the season on a hot streak. They were leading the East division in the American League for the first 62 days. Their team beginning losing many star players to injuries as the season continued. The season ended with the Orioles having another losing season 74-88 games. 2006 - The Orioles contributed the largest number of players to the World Classic out of any MLB team. Despite the great player the Orioles once again finished the season with a losing record. 2007 - 2011 - The Orioles began rebuilding their franchise as they faced many hardships during this time period. In 2009, they once again lost a large lead (10-1) to an opponent. They were leading the Red Sox 10-1 going into the 7th inning by the end of the 9th they had lost 11-10. The Sox had set a new MLB record for the largest comeback for a last place team over a first place team. In 2010, the team saw a loss in fan attendance. In a game against the Rays, the Orioles had the lowest attendance in the history of Camden Park. In 2011, The Orioles made history in what is called “Game 162”. The O’s ended up facing off and beatin the Red Sox knocking the Sox out of the wild card spot. The went on to end the season 69-93 win-loss. 2012 marked the return of the success that the Orioles once were revered for. They kicked off the first half of the season with a winning record. It was the first time they were able to accomplish this feat since back in 1997. After beating out the Boston Red Sox the O’s went on to their first playoff season in over a decade. In 2013, they continued their new found success stride, beating many difficult opponents. They had many great games that season. One of their most notable games was where they set a record for the longest game in baseball history when they played 18 innings against the Tampa Bay Rays. The game lasted for 6 hours and 54 minutes. Unfortunately they missed the playoffs that season but the ended the season with a positive record, tying the Yankees record that season for the AL East division. In 2014, They went on to win their first division titles since 1997. In 2015, the Birds had many high scoring games. With multiple games 18 runs and up, it was a tremendous season. The Baltimore Orioles have 4 main jerseys. A home, away, alternative 1 and alternative 2. All the jerseys besides the away jersey have Orioles going across the front. The away jersey instead says Baltimore. In the late 1970s, the Oriole fans developed a tradition of emphasizing the “Oh” in the Star Spangled Banner. The song itself was written by Francis Scott Kelly who crafted it during the Battle of Baltimore in the War of 1812. The song is sung before kicking off many American sport games. Since 1979, the Oriole Bird has been the mascot of the Baltimore Orioles. His bio states that he bats with both wings, his height is somewhere between tweety bird and big bird. He always makes appearances at home games and has sometimes met with the Maryland Terrapins Mascot Testudo. The Baltimore Orioles play on both weekdays and weekends. There is always a time for fans to catch a game. If you’re looking for tickets, check our listings above and buy your cheap Baltimore Orioles tickets here! Our process for purchasing cheap Baltimore Orioles tickets is simple and fast. There are so many online ticketing sites, that it can be hard for customers to find the right place to buy Baltimore Orioles tickets at the cheapest price. At ScoreBig we think of our customers first and foremost. We offer daily deals for Baltimore Orioles events, so our customers can get the best seats for the best prices. ScoreBig will always go above and beyond to offer the cheapest Baltimore Orioles tickets on the market. The Baltimore Orioles schedule above, displays all available events for 2019 and 2020. Once you find the event that you would like to go to, click the red “Get Tickets” button. It is located on the right-hand side of the event listing, it will take you to an Baltimore Orioles event ticket page. ScoreBig's event ticket page will display all available Baltimore Orioles tickets for that event. On the event ticket page to help with your search for the right Baltimore Orioles tickets, use the filters at the top to select quantity, price range, and more. There is also an interactive seating chart so you can pick where you want to sit. When you are ready to buy a ticket, click on the listing, and you will be directed to ScoreBig's checkout page. Upon completion of the information fields, your order will be processed and your Baltimore Orioles tickets will be delivered via email, mail, or to your mobile device. What makes ScoreBig’s site stand out from the rest? We are constantly analyzing our competitors to improve our site, service, and prices. ScoreBig.com employees strive to offer the best process and experience to buy cheap Baltimore Orioles tickets. Our goal is to get you the best seats to Baltimore Orioles events. We offer daily discounts on our site and for special promotions check out our newsletter. If there are no Baltimore Orioles events currently available, you can use our search feature at the top of the page to see a list of all popular events going on near you. No matter your price point, we have all the best deals and discounts on Baltimore Orioles tickets. For more information on prices of Baltimore Orioles tickets and the schedule for Baltimore Orioles, check out our listings above. The last thing you want to find out is when the Baltimore Orioles event you wanted to go to is sold-out. Don’t worry in many cases ScoreBig has affordable tickets to sold out events. We sell tickets from GA all the way to premium seating and parking. Skip the scalpers in the parking lot and get your tickets online from top Baltimore Orioles ticket brokers. We get you in all events, buy your Baltimore Orioles tickets here from a brand that many trust and rely on for all their ticketing needs. ScoreBig offers a 100% money-back guarantee. If you have been in search of cheap tickets for Baltimore Orioles, ScoreBig by far is the best option. That’s why ScoreBig has more loyal customers than any other ticketing site. 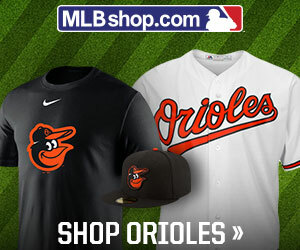 Shop at ScoreBig for safe and secure Baltimore Orioles event tickets.